These pork chops are simply fantastic. Amazing sauce and cheese combo that bakes right onto the pork chops. Get a package of super-thin sliced pork chops you can have this meal together in a matter of minutes. 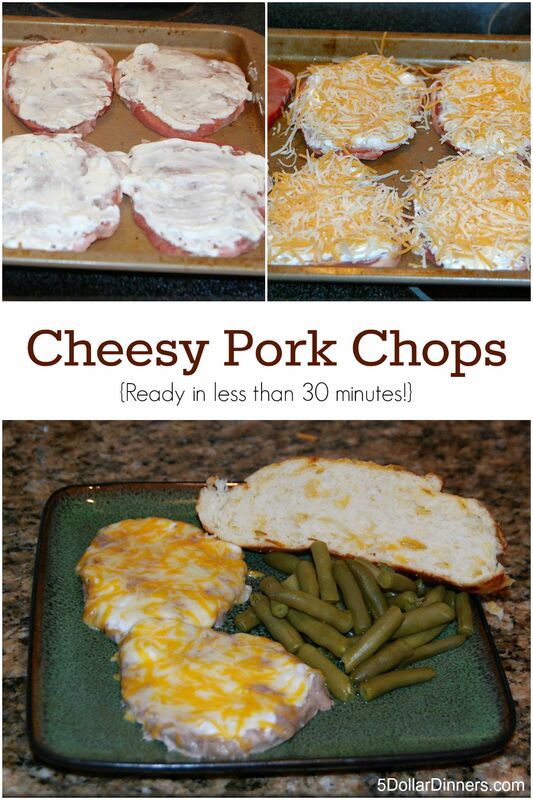 See the full 31-Minute Dinner Recipe for Cheesy Pork Chops here! Pin all of our 31 Days of 31-Minute Dinners here! 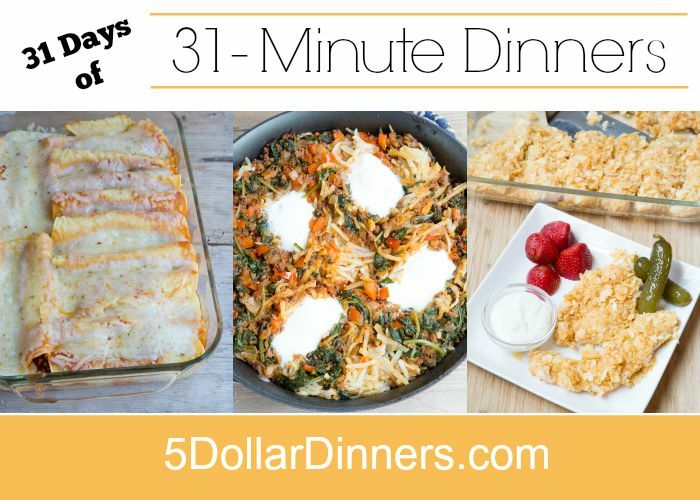 Follow $5 Dinners’ board 31 Days of 31 Minute Dinners on Pinterest.